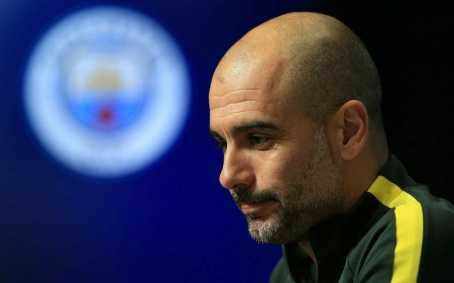 Manchester City manager Pep Guardiola has revealed where he will end up his coaching career at Barcelona, La Masia. The 47-year-old Spaniard manage Barcelona B team for one season before he replaces Frank Rijkaard as the first-team boss in 2008 where he spent four seasons in Nou Camp, winning Champions League and La Liga title. Guardiola won 14 trophies with the Catalan outfit before moving to Bundesliga giants Bayern Munich three years and now his in the third season at Etihad Stadium. The Premier League-winning coach says he would like to return to work in the Blaugrana’s youth academy one day. Guardiola told Universo Valdano. "My teams are going to try to play how I want. "I will finish again where I started… my last steps will be in the youth teams – I hope at Barca. I believe it’s– to start, it’s the best. "My time there as a coach is finished because I’m not the same as I was then, nor is the way they see me the same. "I had the time of my life there, when the world was our oyster, with some incredible players."